I love all things natural. It just makes sense. However, I love my perfumes. I'm picky when it comes to scent. I like warm, rich fragrance. In high school, I wore men's Obsession very lightly, because I loved the smell. Now I have very few that I really like. Forget the florals please. I also am aware of what I'm dabbing onto my skin & our pressure points, where we dab, are warm areas - lots of blood flow. I try to keep chemical junk away from those areas especially. So, for daily use, I love to use natural oils. Most have therapeutic properties as well. It's great using them to smell good and it be healthy too! Since 1993 Auric Blends has been captivating women and men with our creative line of fragrance products. Our perfumes and incense are handcrafted and always made from the highest quality ingredients from around the world. We invite you to enjoy what millions of people worldwide have come to know and love as their favorite fragrance line. We love making perfume, incense and all the other aromatic products we offer. We hope you love them too. I got to sample several blends. I'll start with Siren - because it is from the 100% natural line. While it is not my ideal scent, as it matured on my skin, I became quite fond of it. Fresh is the word I'd use - perfect for Spring & Summer. This is more my type! Egyptian Goddess is Auric Blend's top selling perfume. It's a lightly powdery, oriental type of fragrance. I can picture this being worn by all ages and by an Egyptian goddess! Then there is Love. This would not be my choice for myself. I think it's the white amber note that is a little too sweet for my tastes. It is nice and I can see that others would Love it - must be why it is #2 in sales! Divine Opium solid perfume is lovely! Spicy, antique, warm. I love it. I carry this one with me. It sure doesn't hurt that the packaging is wonderful on it's own accord. I also got to try the Chinese Rain roll on. This scent is way too sweet for me. A heavy floral. Perfect for someone who likes sweet florals. I have read wonderful reviews of their Black Coconut - I'm going to purchase that one. Sounds good! I am so happy that Auric Blends is out there offering natural perfumes to the mainstream. 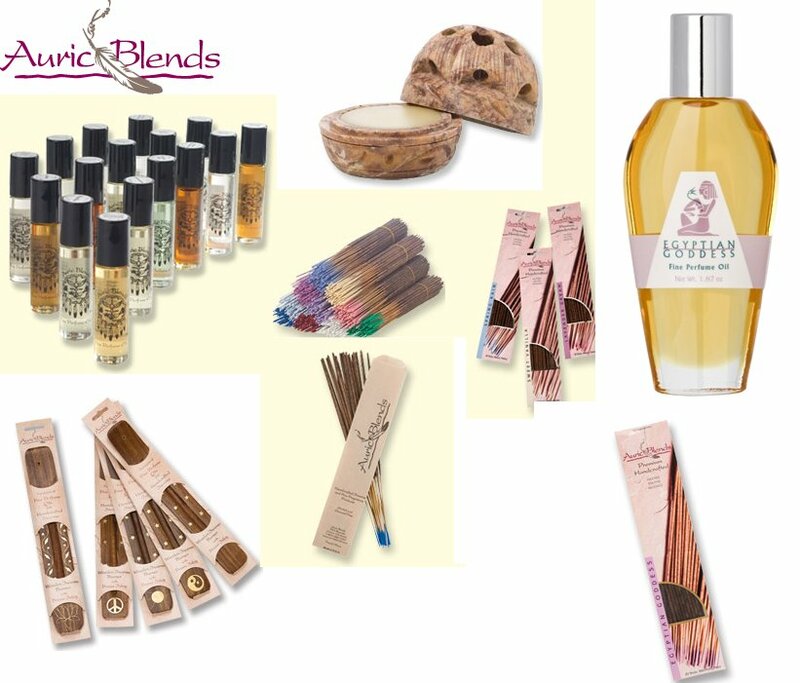 *Follow me @jamaise at Twitter & Tweet this : RT @jamaise #GIVEAWAY #WIN Auric Blends ~ Natural Perfumery ~ Choose any 2 scents! http://bit.ly/jK3TSC Ends 6/16 tweet each day for one entry each ! Disclaimer: Auric Blends provided me with all information and product to review. I was under no obligation to review it if I so chose. Nor was I under any obligation to write a positive review or sponsor a product giveaway in return for the free product. I love woodsy smells like patchouli and sandalwood. 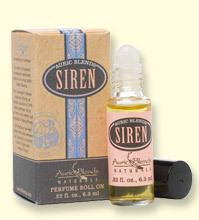 I actually used to use Auric Blends's solid perfumes in high school! i usually like fruity scents like Berries and Apple. I also like Rose and Leather too. I usually like scents that would be described as oriental or spicy, but my husband really doesn't like these types on me. I have been trying to find a happy balance between what I like and what he likes for years now. I follow you VIA GFC. My fav scent is gardenia...but it is kind of heavy and I mostly wear it for me to smell it. I like lavender and lily of the valley too. Do not like fruity scents very much. I Follow @Auric Blends at Twitter w/ katklaw777.